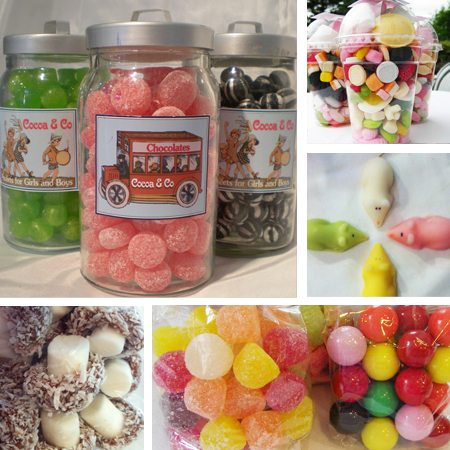 Sweets | Cocoa & Co.
Retro Sweets have made a come back in the last couple of years. We can offer you a good selection such as fruit pips, jelly babies, pineapple cubes, cherry lips and coconut mushrooms, to list just a few. Our special handmade fudge is especially made for us in Cornwall, and has top quality flavours such as maple walnut, vanilla, clotted cream, etc.